We all want to succeed in life. And though success does not come in a silver platter, it is still what everybody wants. This is why people get up in the morning to work and drag their body back to bed at night. People simply want better – in everything. There is only one reality and no matter how you would like to escape from that, it will always lure you out. So why not face it with a more realistic approach? Escape or not, reading this Big Book Of Self-Help Tips will actually get you somewhere. 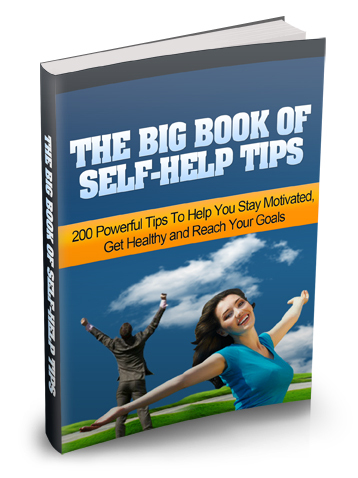 Inside you will find at least 200 tips that you can use to improve your life and prosper at whatever you intend to do. Or when getting by is all you need, find that there are listed in this book too. They may be advice that you have already heard before but never regarded it to be true only this time, you need to read it for yourself to register. The sweet road to success is a path well taken, why not journey there yourself?